Hubby dear is extremely fond of gardening in our little terrace garden space. Over the years, we have tried different flowering plants, croton varieties etc. But I get the maximum joy from the fresh veggies and greens that I can pluck and use for cooking. We don't use any pesticides or chemical fertilizers. 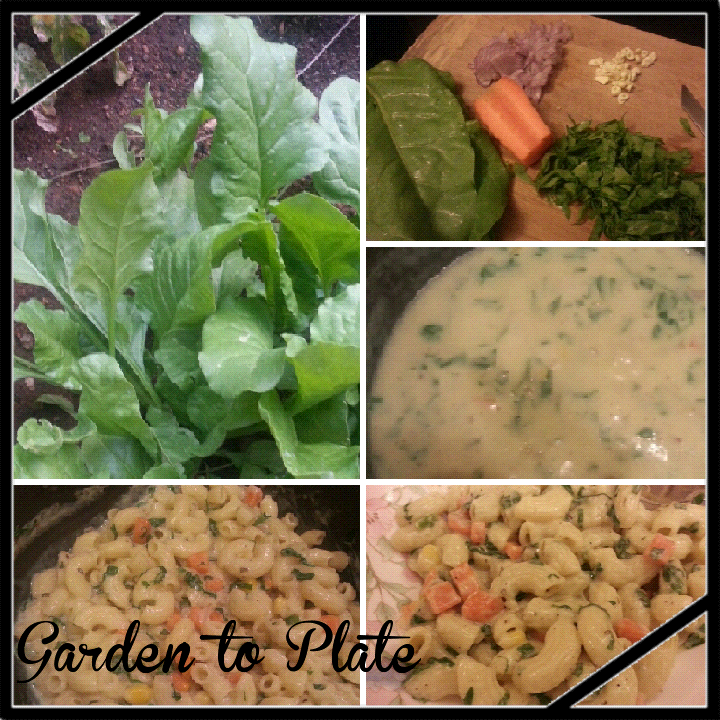 So getting organic and fresh produce right from our little garden is a humbling and grateful experience. Battling the pests and ants is a huge challenge. Our plants are surviving, thanks to hubby's constant nurturing and attention. There were times when we had continuous harvest of beans and tomatoes that we ended up not buying them from vegetable shop for a couple of months. We also tried few other veggies - the long bottlegourd from a tender creeper plant, loads of violet brinjals, green chillies, fresh sprigs of mint and bunches of Italian basil (that got transformed into pesto). In the last couple of months, our garden has blessed us with fresh herbs (parsley, celery, basil) and greens (spinach, fenugreek). I'm also eagerly awaiting to harvest beetroot (hoping the ants don't take a bite this time!). Spinach / Palak finds a place in my weekly veggie shopping bag. Sometimes, the bunch I buy looks good in the shop but as soon as I bring it home, it gives a wilted look. I would immediately rustle up a palak paneer the same evening or the next day. Steam carrots and corn in a pressure cooker for 5 minutes. Boil fresh milk and cool it. Mix wheat flour with 1 cup of milk nicely without any lumps. Boil a pot of water. Add 1.5 tsp of salt. Once it starts to boil nicely, add pasta and give it a quick mix. Let it cook for the time mentioned in your pack. Meanwhile, heat a pan. Add 2 tsp of olive oil. Lightly saute garlic and onion till it turns translucent. Add chopped spinach and sauté it for a min. Add steamed carrot and corn. Reduce the flame to low and add milk mixed with wheat flour. Add 1 more cup of milk. Stir continuously till you see a shiny texture and it starts to thicken. Add pepper powder, 1/2 tsp salt, dried herbs. By this time, your pasta would have got cooked. Add the pasta to the mixture and mix together. Switch off the stove. I usually don't add oil while cooking the pasta nor do I rinse with cold water. I plan the cooking time in such a way that as soon as the pasta gets cooked, it is ready to be dunked into the sauce. I read about this tip from Madhu Menon long time back and it works well for me.